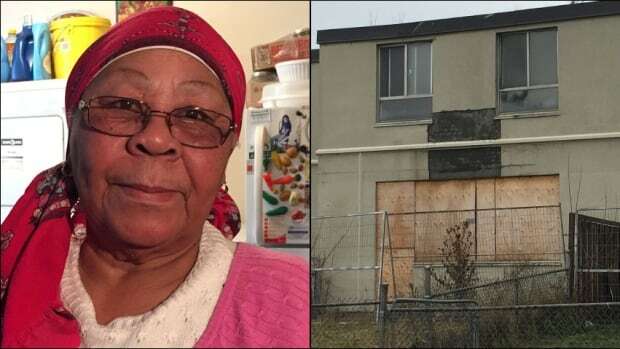 Edna Rose prides herself on the flowers that bloom in the garden of her Jane and Finch-area apartment, but next door there are boarded up windows and construction fences. Toronto Community Housing (TCH) has announced plans to tear down Rose's building and six other "rapidly deteriorating" townhomes near Jane Street and Fingrove Crescent, according to a letter sent to tenants. Rose, who has lived in her unit since 1986, will be forced to move out this summer. She doesn't know where she'll wind up — she's heard Regent Park or Lawrence Heights — but the 75-year-old said moving away from her doctor, church and job as a school crossing guard will take everything out of her. She's also skeptical of TCH's claim that her building will be replaced. "If they can't find the money to repair it, how are they going to rebuild it?" Rose asked during an interview with CBC Toronto. Read more about the 550 housing units boarded up in the link below.